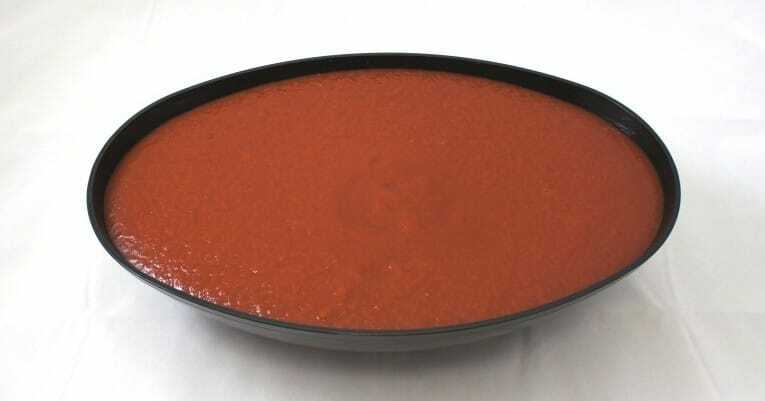 Mexican style hot tomato sauce is the concentrated product prepared from mature red tomatoes. Chili peppers, salt, dehydrated onions, dehydrated garlic and spices are added to obtain the flavor and aroma characteristic of a well-balanced Mexican style hot tomato sauce. Tomatoes and less than 2% of: Cascabell Pepper Puree, Salt, Dehydrated Onion, Chili Pepper, Dehydrated Garlic, Spices, paprika, Natural Flavor, Citric Acid.